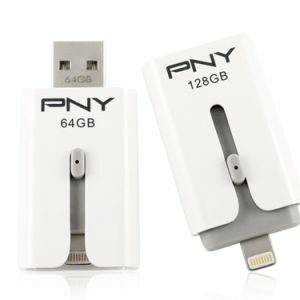 PNY DUO-LINK is an on-the-go USB Flash Drive that connects to your Apple iPhone or iPad via the built-in lightning connector to quickly and easily transfer files. 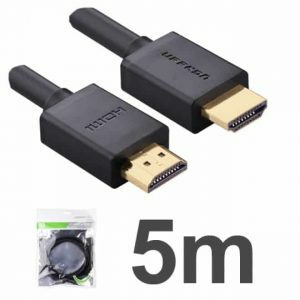 The USB Type A connector plugs directly into the USB port on any PC or Mac. 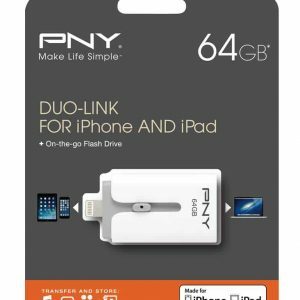 Use the DUO-LINK to free up space on your Apple device or save files from your PC or Mac onto your iOS device. Users can also play music or video directly from the DUO-LINK drive. 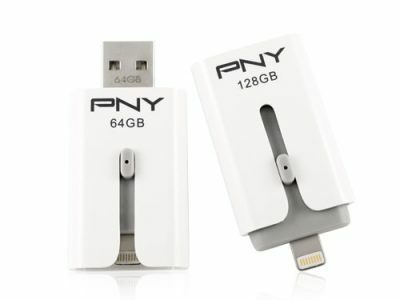 The capless, all-in-one design is small enough to connect to your Apple device while in use for portable OTG use. 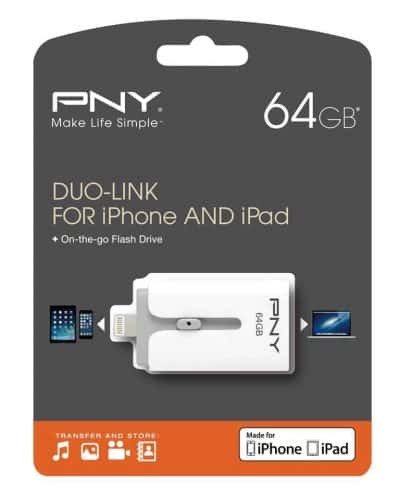 Browse and view documents, photos, music and video files stored on DUO-LINK and iOS device.